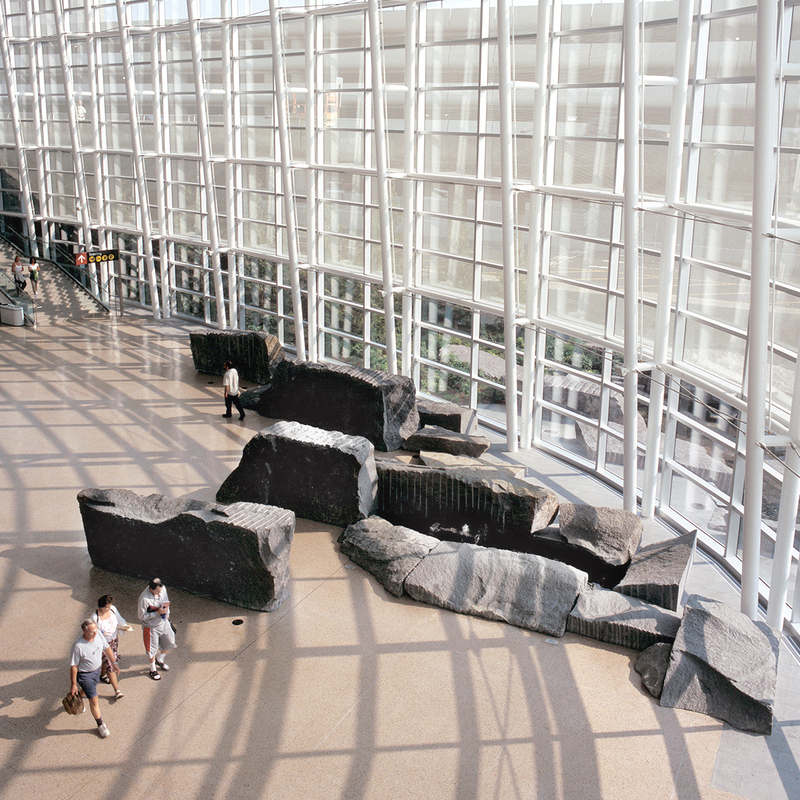 An interior and exterior granite water feature was created for the arrivals hall at Sea-Tac International Airport in Seattle. Whether experienced from indoors or out, the water sculpture welcomes and directs arriving passengers. Tilted slabs of granite and water are used both inside the terminal and in the adjacent garden plaza to define the entryway for those airline travelers who need to transfer to ground transportation outside. The large granite slabs provide a dramatic introduction to the geological topography of the region and also create a functional sequence of walks and sitting areas.